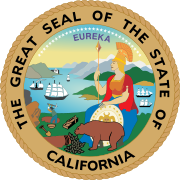 The 1982 United States Senate election in California took place on November 2, 1982. Incumbent Republican U.S. Senator S. I. Hayakawa decided to retire after one term. Republican Pete Wilson won the open seat. Wilson was known as a fiscal conservative who supported Proposition 13, although Wilson had opposed the measure while mayor of San Diego. However, Brown ran on his gubernatorial record of building the largest state budget surpluses in California history. Both Wilson and Brown were moderate-to-liberal on social issues, including support for abortion rights. The election was expected to be close, with Brown holding a slim lead in most of the polls leading up to Election Day. Wilson hammered away at Brown's appointment of California Chief Justice Rose Bird, using this to portray himself as tougher on crime than Brown was. Brown's late entry into the 1980 Democratic presidential primary, after promising not to run, was also an issue. President Ronald Reagan made a number of visits to California late in the race to campaign for Wilson. Reagan quipped that the last thing he wanted to see was both of his home state's U.S. Senate seats falling into Democrats' hands, especially to be occupied by the man who succeeded him as governor. Despite exit polls indicating a narrow Brown victory, Wilson won by a wide margin. This page was last edited on 22 March 2019, at 04:04 (UTC).